Sudip Chakrabarti is a Partner at Madrona Venture Group, and invests in companies that are transforming the enterprise, cloud and infrastructure markets. Prior to joining Madrona in early 2018, Sudip was a partner at Lightspeed Venture Partners where he led or co-led investments in Streamlio, Serverless, Rainnet, Exabeam and Heptio. In the past, he had also been involved with companies such as Actifio, Databricks, Digital Ocean, Forward Networks, Mesosphere and Samsara. Before venturing into early-stage investing, Sudip was an entrepreneur and an engineer. He started his first company when he was at Georgia Tech, and his second while in business school. In between, he spent a few years as an engineer building circuit simulation software at Synopsys. This experience of founding enterprise technology-oriented businesses led Sudip to the venture side and he has been investing in enterprise and open source software companies since that time. 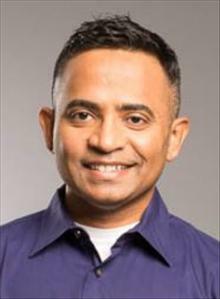 Sudip received his PhD in Computer Engineering from Georgia Tech, an MBA from The Wharton School of the University of Pennsylvania and a B. Tech from IIT Kharagpur.